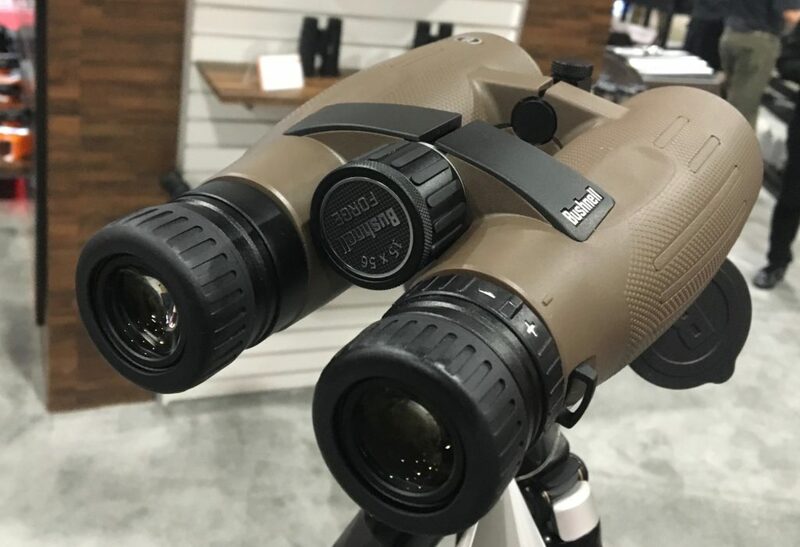 Bushnell had a wide variety of their three scope line offerings (PRIME, NITRO, and FORGE) on display at SHOT 2019. Each of the three lines includes an assortment of riflescopes, binoculars range finder and/or spotting scopes. All three lines have side parallax adjustments and waterproof construction. The Forge line is the upper line and is generally designed with long-range precision shooter in mind. This line of scopes has exposed turrets with well-marked increments for dialing adjustments to impact. The good news is that they are locking turrets so they won’t be rotated by casual contact in a case or in the field. The MSRP’s vary between $899 and $1,139 depending on magnification range and configuration. 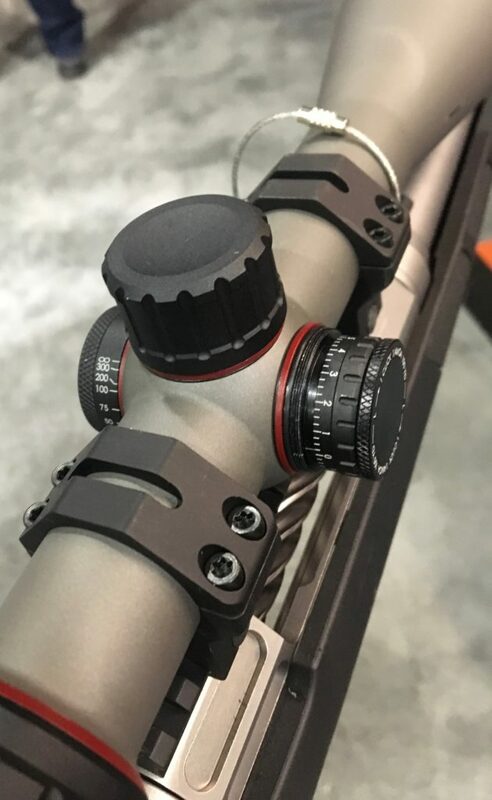 All the Forge scopes are built on 30 mm tube diameters and have 50 mm objective lenses. The line contains scopes of both First or Second Focal Planes, as well as options for MIL or MOA turrets and reticles. 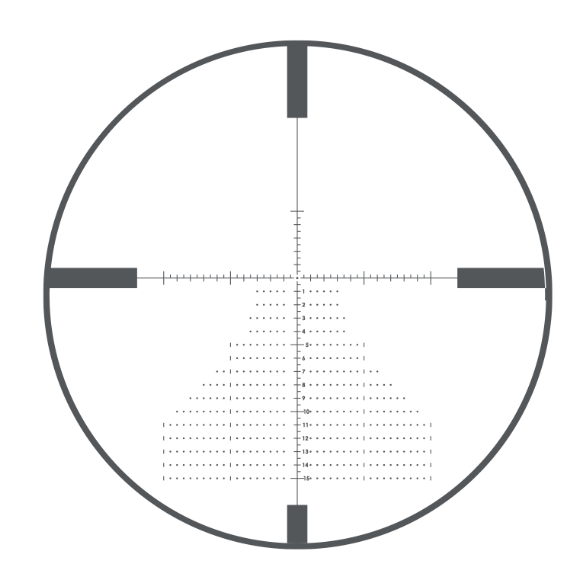 There are also several reticles designs to choose from depending on the intended use of the optic. 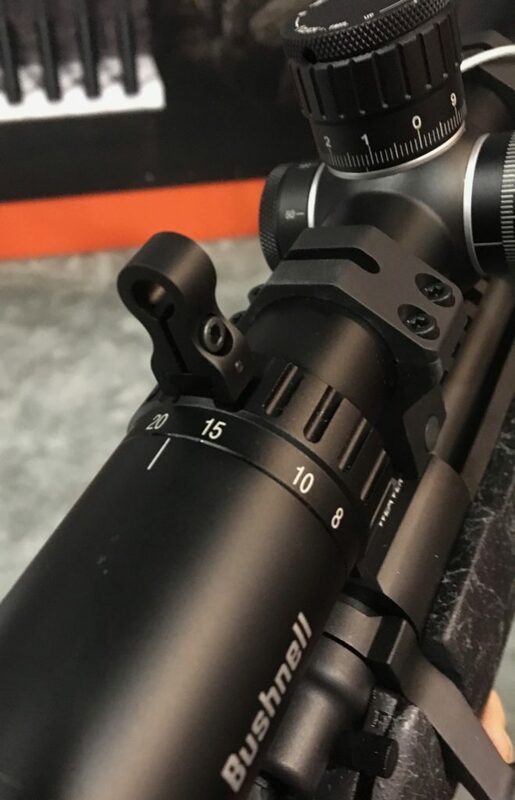 Magnification ranges for the Forge line are a 2.5-15x, 3-18x or 4.5-27x. The Nitro line is also built on 30mm tubes but is designed more for the hunter and has capped turrets. There are five magnification ranges to select from and objectives are either 44 or 50 mm in diameter. 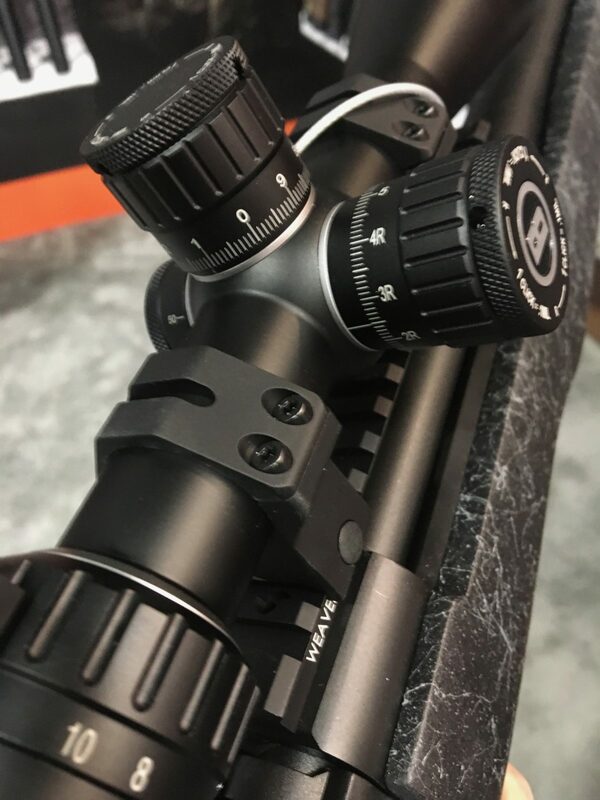 This line still offers a choice of first or second focal plane reticles and MIL or MOA on each magnification range. The MIL based models are all First Focal Plane scopes. The MSRP ranges from about $350 to $700 generally going up as the magnification range does.